When calculating manufacturing expenses, direct labor costs tend to make up a large chunk of a firm's budget. However, there are solutions that could result in lower labor costs and it starts with the workers themselves. When employees are engaged with their job, they tend to display higher levels of productivity and even improve the safety of those around them, according to Industry Market Trends. With increased productivity from workers, businesses benefit from more output to meet growing demand from customers. Manufacturers can lower costs associated with their own workforce through motivation, according to Industry Market Trends. When manufacturing employees are highly engaged with their work, they can increase productivity by an average of 19 percent and safety by 62 percent compared to employees who are disengaged, a Gallup poll revealed. Since manufacturers strive to ensure safety for their workers and the surrounding public, boosting engagement could potentially decrease the number of accidents in the workplace. High engagement can also be a factor in employee retention. When employees enjoy going to work, they are more likely to stay with a company, allowing firms to decrease their recruiting costs as well as mistakes in the production process. Motivated workers are also connected to reducing turnover and even reducing absenteeism for a company by 27 percent, according to Gallup. To help increase engagement and shrink manufacturing labor costs, companies use employee management programs including software analytics for effective evaluation of work productivity. For manufacturers to keep up a high level of performance, they need to employ workers who have the right skill sets to produce items consumers want to buy. 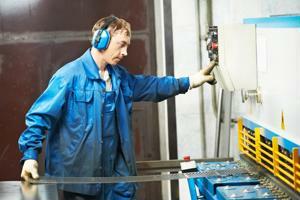 However, some experts suggest manufacturing might be struggling because the sector is experiencing a skills gap. In a survey conducted by the Manufacturing Institute and professional services firm Deloitte, 67 percent of manufacturing executives believed they had a "moderate to severe" shortage of workers capable of filling positions. In the survey, 74 percent of respondents said not having qualified workers with specialized skills has a major effect on their ability to expand the company or improve productivity. Manufacturing executives are not optimistic this problem will get better in the near future as 56 percent said they predict the shortage will become worse in the next three to five years. A recent report by The Boston Consulting Group admitted a skills gap does exist but the issues related to this worker shortage will not stop manufacturing from recovering in the near future, according to Modern Materials Handling. BCG approximates the gap at 80,000 to 100,000 highly skilled manufacturing workers, which is less than 1 percent of the nation's total number of manufacturing workers. The BCG also said the scope of the skills shortage is less than feared as significant gaps are found in five of the 50 largest manufacturing centers in the U.S. There are some industry leaders who dispute BCG's report, saying the skills gap is higher than what is cited in the study. Douglas Woods, president of The Association for Manufacturing Technology, said there is a huge shortage of talent in the manufacturing industry. He said Bureau of Labor Statistics data indicates manufacturing openings have hit an average of 250,000 in 2013. "There is a deficiency in properly trained workers all over, not just in those locations BCG mentioned," Woods said in an interview with MIT. "It is negatively impacting the growth potential of our manufacturing economy. Every AMT member I have talked to in the last four years has identified this as one of their top three issues. While Woods disagrees with the shortage figures listed in the BCG report, both agree that the government and private sectors must train students with the skills necessary for manufacturing.